According to The Telegraph, two friends have died due to carbon monoxide poisoning in a “souped-up” Ford Fiesta ST in the UK. Last December, friends Tom Putt and Nikki Willis, were found dead in the hot hatch and, of course, an investigation was launched as to what happened and why. Those results are now in. Turns out Putt was an engineering apprentice who also performed a number of modifications to his car in order to up its performance. Nothing unusual there. Unfortunately, he made a tragic mistake: By removing the catalytic converter (which dissipates dangerous emissions) from the exhaust and cutting vents into the hood, "a gap was left between the exhaust and engine which enabled fumes to get sucked into the car through its fresh air intakes" underneath the windshield wipers. The carbon monoxide levels inside the Fiesta ST were found to be "1,000 times greater than the safety limit." 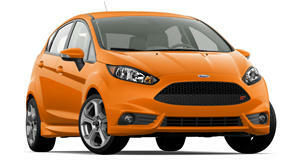 Ford itself assisted in the ensuing investigation by conducting tests on a factory-spec Fiesta ST. It was during this when Putt’s fatal mistake was discovered. Both deaths have therefore been ruled as accidents. This all goes to show that anyone planning to modify their car needs to know what they’re doing. If you don’t have the confidence or skills to do it yourself, then don't. Take the car to a professional or, better still, leave it stock.